I brought the question to Mark Hutter, Master Taylor in Colonial Williamsburg’s Historic Trades Department. 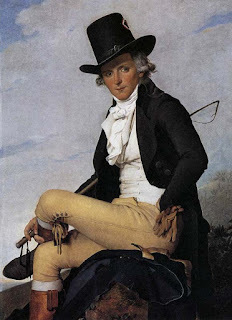 Because it’s a huge subject, I’m picking one era, place, and financial situation, the one in my stories: early 19th C British gentlemen of the upper classes. According to Ian Kelley’s Beau Brummell, the dandy’s neckcloth was “a triangle of fine Irish muslin, cut diagonally from a square yard and plainly seamed.” From what I can ascertain, fine Irish muslin would have been quite expensive. It gets tricky, distinguishing between cotton and linen fabrics. Undergarments like shirts, neckcloths, collars would be referred to as “linen,” though they might be made of other material. Good cotton, however, as far as I can discover, wasn’t cheap. The famous muslin dresses Regency ladies wore were made of fabric imported from India, and like their miles-long cashmere shawls, displayed their wealth. To answer the reader’s question, then, the neckcloths in the portraits were of quite fine material, most likely of linen or muslin. 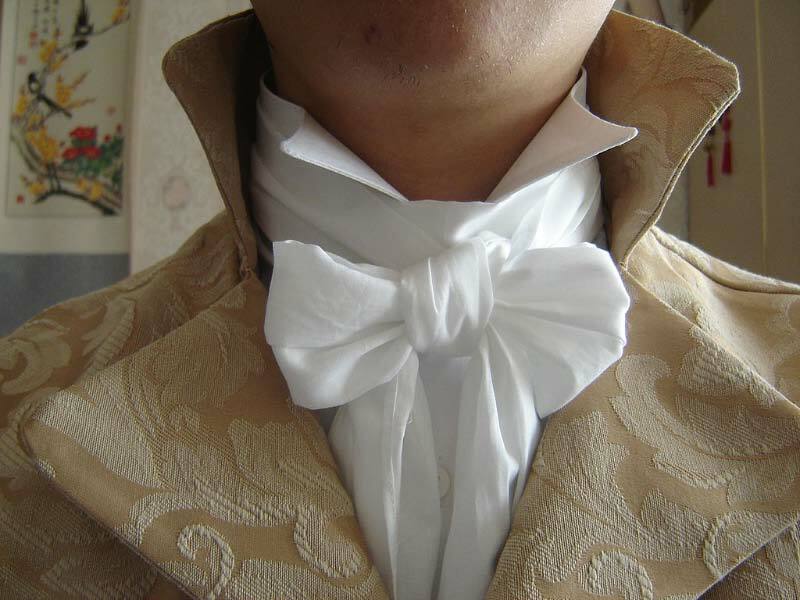 The white neckcloth* we see so often in Regency portraits would have been lightly starched to allow one to create the correct folds. Too much starch would make it too stiff. Usually. A few styles, it turns out, demanded stiffer fabric. But that’s another topic. In the next post, we’ll take a look at the incredibly tricky business of tying these things. *They came in other colors, as well as in silk, but we’ll deal with that later, too. Eventually. Light linen comes in 3 grades, lawn, muslin [which went out of use as a term when cotton muslin became common, even as lawn nowadays usually refers to cotton lawn] and holland, which was the coarser weave used for labourers' underlinen, and approximated by what is sold nowadays as muslin. Ireland made the best linen because the spinning of flax is ideally done in damp, cool, darkish conditions. On the continent this was usually done in cellars near rivers to approximate the right conditions, but a country which tends to be humid, like Ireland, had half the conditions already. It's also the reason Britain as a whole produced some of the best wool, the cool damp conditions encouraged heavy fleece, and by the Regency there were sheep bred particularly for their resistance to foot rot [IIRC it's the Cotswolds and their descendants]. Sarah, thank you for clarifying. The "fine Irish muslin" for Beau Brummell's neckcloths was bothering me, because his reign was late 1790s to 1816. But it was actually fine linen, yes? One difficulty I had was finding out when, exactly, cotton muslin became common. Irish weavers were using it early in the 19th century, but they had to deal with import issues, if I understand my sources correctly. My sense was that it didn't become commonly available until later--but when? Mid 19th C or before? Textile history is not my area of expertise, so I'm delighted to learn from those who know their stuff! In any event, if the term "muslin" was applied to linen, it seems safe for those of us setting stories in the first third of the 19th C to put our heroes in fine linen neckcloths. Eli Whitney invented the cotton gin (or engine) in 1793. (Not getting into who invented what when - that's not the purpose of this comment.) But it took time to put it into large-scale use. Between 1830 and 1850, cotton production in the US expanded from 750,000 bales to 2.85 million. But in the early years of the 19th century, and certainly before that, production of cotton fabrics was lengthy, labor-intensive and painstaking. Therefore, it was an expensive fabric. Wool was much cheaper, and so, much more common. I was always under the impression that stocks and neckcloths were different things. They are different things. Thank you for pointing that out, as I should have done. It was the "light material" in the reader's question that led me to talk about neckcloths instead of stocks, but I failed to make the distinction. The stock was made of a stiff material and fastened in back with a buckle or ties. Still, it could be covered in light materials, like the fine linens described above (black silk was popular, too). 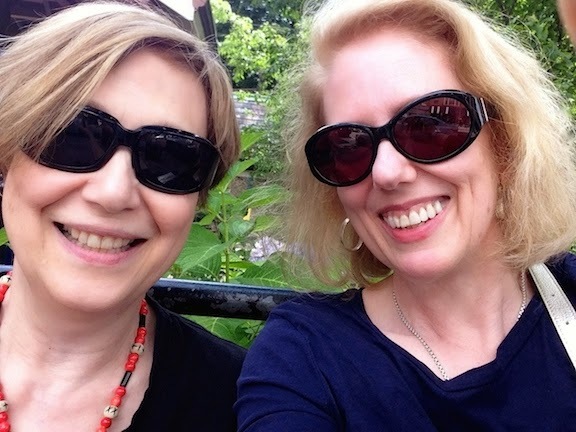 I've always associated stocks with an earlier period than the one in which my books are set--and with the military. Men's neckwear, even if we stick to, say 1750-1850, is an encyclopedic topic!